I guess Nintendo's LABO business folded. Nearly all of them are used games though. Wow, the Switch is cheap. BTW, used products in Japanese stores are as good as new products. Both my PS2 and PS3 were bought from used items stores in Japan, and they are still running without any problems. So the expectation is for Labo to sell the rest of its initial shipment during GW? Im really bad with predictions. but my expectation is that labo by week 18 will sell 230.000 min / 260.000 max. Now if it can sell somewhere close to 400.000 i will say it is a complete monster and 1.5 millions units by 2018 will be posible. I remember a few people saying Kirby could do 1m, but the general consensus was higher than 600-700k. No one really argued that. General consensus for Kirby, from anecdotal to many predictions, was that it will reach million seller status again and it will be confirmed. The game shipped 500k in 2 weeks with zero holidays. The only question is if there is a possibility to happen this year. I wrote something about that a few months ago in some thread (data came from different sources, and it took a lot of time to find them). Basically, if you looked at DS and Wii totals versus other platforms you could see that, in relative terms, in UK Nintendo platforms were a bit weaker with respect to other countries, namely France and Spain (I don't remember about Germany, though). I mean, this makes sense: not every country is the same and consumers' preferences vary across territories and also within territories; we are used to consider PAL countries one and all but they are very different from each other. We know, for example, that Nintendo is especially weak in Scandinavia while it is pretty strong in France. DS and Wii were really successful in UK but, in relative terms, they were still less successful (versus competitors) with respect to some other countries. Everything is, again, in relative terms. DS is all time best selling system in UK and sold more there than in any other European market. Wii also had its best sales in Europe in UK. Wii and DS were not relatively weak in UK by any means. UK just bough other consoles in addition more than other European markets. Especially with X360. People forget but at the peak of last gen UK was bigger market than Japan for a while for deticated gaming. The boom was huge. No lower GW price for Snack World and GoW? The hell does new fields mean? Gung Ho VR? Gung Ho Labo coming soon. Maybe we'll FINALLY get to their their Switch game that's supposed to be a new family action IP I think. The grey Switch is having a GW promotion (I guess it's for GW specifically? 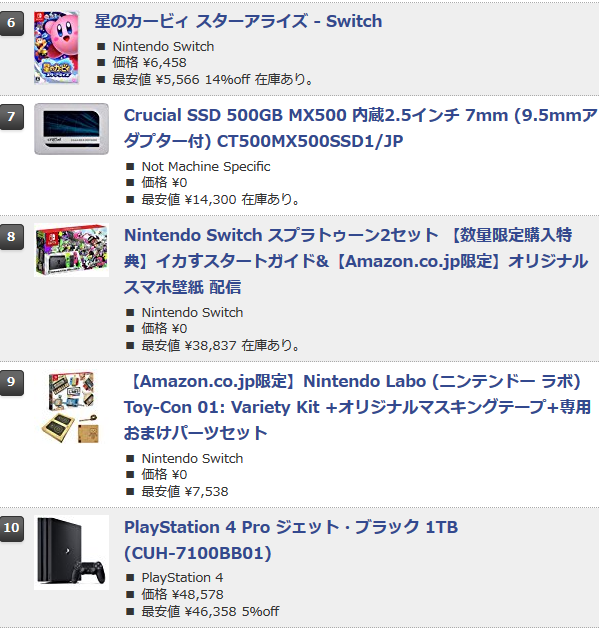 ), 3,300 Yen off (price is now 29k Yen). It's jumped up in a couple of hours to the 14th place (as of writing) whereas before it hung around between the 35th and 50th place. 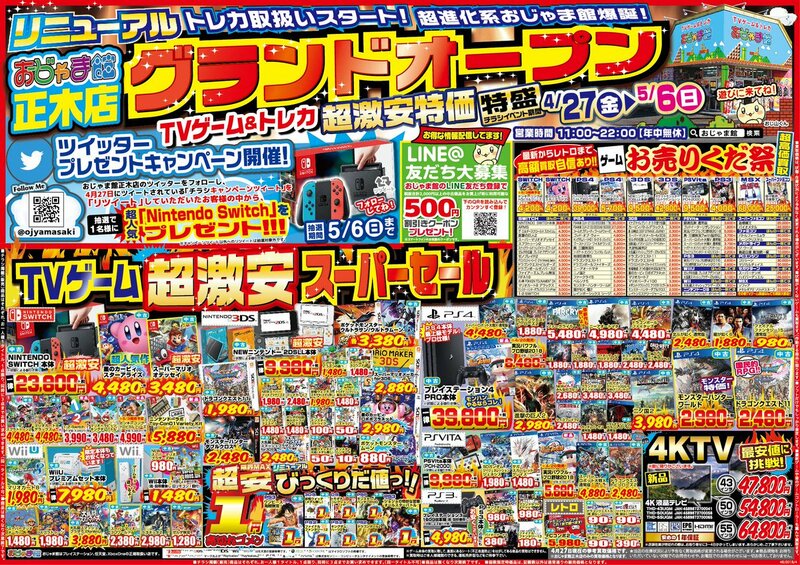 We might see a big differential between MC and Famitsu for this week (bigger than usual, even) due to this. I appreciate silpheed-mcd posting images but sometimes it would help putting one or two lines explaining what the images are showing to avoid confusion. Learn them then there is no need for confusion. By what metric was the UK ever bigger than Japan for dedicated gaming and when? 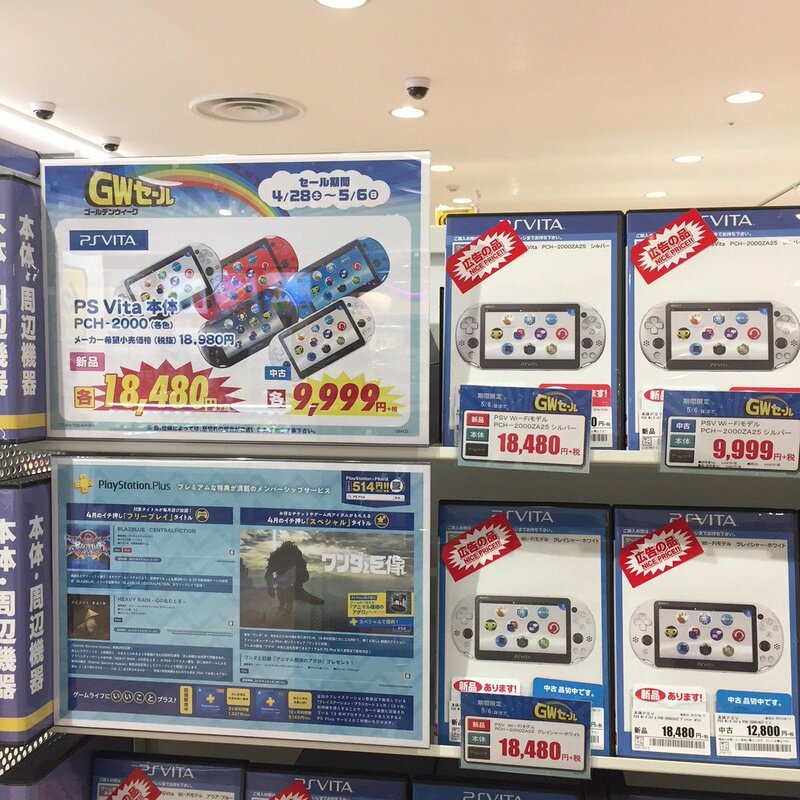 Japan sold almost 80m hardware units in Gen 7? By revenue for some years after the peak of DS in Japan. In west DS/Wii gen peaked later than in Japan (X360 especially having really strong end life) that lead to UK gaming market being bigger than Japan for couple of years. For example2008 UK was bigger market by revenue than Japan. Golden Week made Donkey Kong escape from another Nintendo Friday release. If the blog gives first day sell-through it will finally include a first party title for Switch. Unfortunately, with both May 3rd and May 4th being public holidays, not sure Media Create will share Day-1 sell-through. Maybe hiska-kun remembers what happened in previous years, though generally, GW games come out BEFORE GW, not during it, so this may be a rare case without (recent) precedent. Interesting, I can’t find data for 2009 or 2010, but by 2011 the Japanese market for gaming was more than double the size of the UK market. Coincident with the booming of mobile game. Makes sense. You could at least aknowledge that I answered your question and that you didn't make that much effort to understand my point before jumping to your gun in the first place ? I don't know, I did put some effort to explain my point to you, didn't I ? I understand why people are being optimistic about Switch software, like I said, I won't blame them, but let's not pretend it's not the case each time a Switch game sales results are "disappointing". Of course, but it isn't a pattern of mine, it was just about Labo, not almost every Switch software titles released and I won't try hard to deny it like it's sometime the case here. If you're criticizing predictions, please make your own predictions. If you don't, you're just Monday morning quarterbacking or a constant goal post moving machine . Establishing a record of success or failure in predictions allows you to establish credibility in your understanding of the market. If you never make predictions, we're just flailing in the wind. I wanted to ask if it's going to be the "main" SKU for GW. For the new Switch owners who want to buy Splatoon 2 the bundle will be the main SKU. Yeah. By 2011 you had 3DS selling really well in Japan and huge growth of mobile gaming (in Europe mobile gaming has had far smaller growth rate across the years than in US and especially Japan) so it makes sense that Japan again passed UK. I don't think asking for a bit of context to posts with only images in japanese is too much to ask but I am not going to insist on this topic. Yes, a little explanation would be useful. From which store pics were taken, the content and so on. 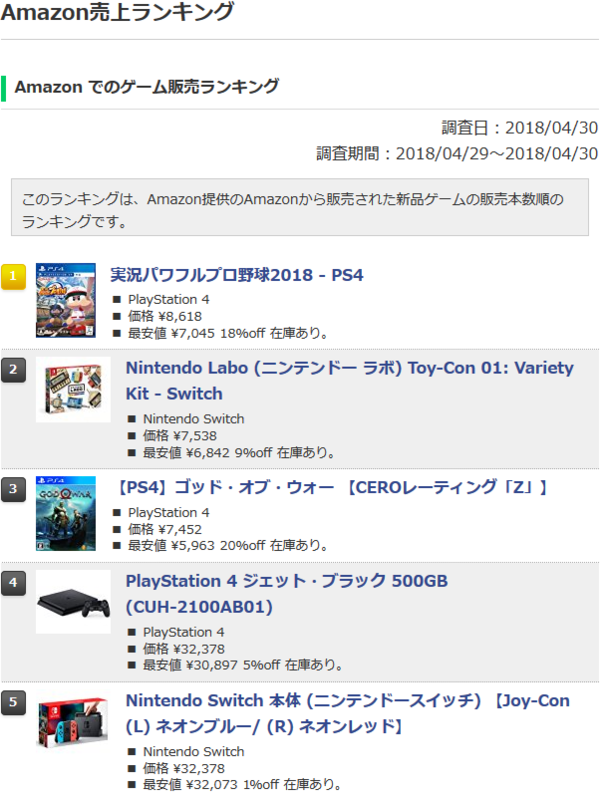 Both Labo kits and a few of the 500G/1T PS4 units are running low on stock at Amazon Jp. Looks like a chain store. 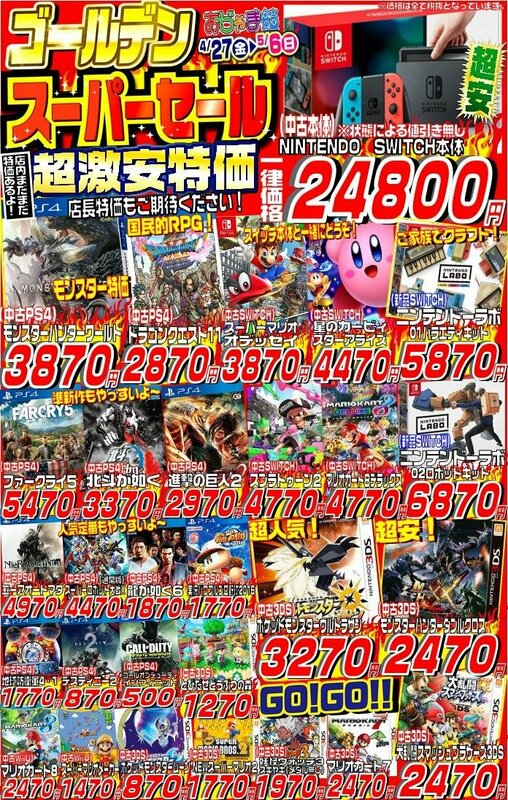 Insane ads filling the page is pretty typical for this kind of game store. 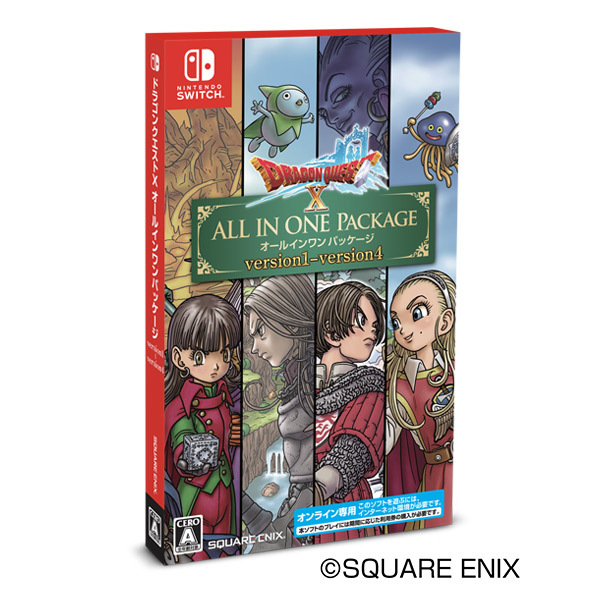 SE is releasing a Dragon Quest X All In One "we really mean it this time" package for Switch, Wii U, PS4, and PC on July 26th in Japan. They always mean it. The All-In-One-Packages contain all content at time of their release. Upcoming releases will have to be bought separately. I'm sure it's the same for other MMORPGs. Pokemon should be the next important game with a big increase at digital. When or where do we know if Mario and Rabbids is a million seller? Same for Fifa 2018 Switch edition. Mario + Rabbids was close to 2m units sold a while ago. So between 2m-2.5m is my guess. How long ago was it close to 2m? was there a PR? I doubt M+R is above 1-2 personally yet due to 5 extra months and 1-2 has around 200k extra in Japan. You are right but it has way better legs in the US than 1-2 Switch. In France it sold 150k and 1-2 Switch 200k (retail). In Spain, M+R was at 65k units sold and 1-2 Switch 39k (retail). They should be in the same range imo. I don't there's a direct source for either of those. For Mario and Rabbids.... We do have Ubisoft claiming that M+R was the top selling 3rd party game for Switch, last November. We also have Nintendo claiming in their fiscal report that there were 12 million seller last fiscal year, with 9 of them being 1st party. It's not unreasonable to deduce that it sold a million based on that. For Fifa... Its more speculation than reasoning. There are 2 more unknown 3rd party million sellers and list of candidates is relatively small. I don’t think we will get first day sell-through with Thursday and Friday being holidays. Weekly numbers tomorrow shouldn’t be a problem because Wednesday isn’t a holiday. What can I say? I'm a slow writer. They weren't there when I started. Regarding Wii U ports to Switch, so far the succesful ones (as in, not just subtly outselling the original) have had multiplayer as its selling point, which obviously gels well with the concept of the console. MK8DX was heavily pushed alongside the joycon multiplayer. Pokken DX is also a multiplayer title. If you notice, they try to push the co-op aspect of DKCTF in some of the marketing, but it's obviously not the game's selling point which is why predictions put it at barely above the original for release. I'd also say that DKCTF's visuals aren't also eye-catching enough for people that didn't know about the game before. To be fair, both Mario Kart 8 Deluxe and Pokken DX opened lower than their Wii U counterparts. Their legs have been exceptional though. Time will tell if the same rings true for DK (I personally think it will have good legs and outsell the original by a good margin). Yeah other than the 97 MC fan-dream Zelda, Mario 1-2 punch, the quick build-up of a diverse multiplayer suite is the most important thing Nintendo managed to achieve wrt software last year. Spearheaded by Splatoon, it is probably more important than the Zelda, Mario thing in Japan at least. Well MK8DX was released shorty after launch so lower openings were expected I guess. Time will tell indeed but I feel the narrative of Wii U hampering DKCTF's sales that much is unfounded. Both before and after DKCTF we had games selling much better than it, so I wouldn't expect it to suddenly explode. It's a terrific game (one of my favorites), but challenging platformer for $60 isn't the easiest sell in the world right now, especially with the Switch eShop having some very high quality challenging platformers for a much lower price. EDIT: I feel it's also important to note that DKCTF (and Bayonetta 2 before) did nothing to cater to the double dipping crowd which will naturally limit sales. I loved DKCTF but I have no intention of buying it again (for more than the first time...) just to play as Funky Kong. Bayo2 was even worse about this as it added absolutely nothing. DK will easily outsell the WIIU version, but I don't think it will do a huge number by itself. I don't think it will have very good legs. I just don't see it being a very appealing game to the mass audience.